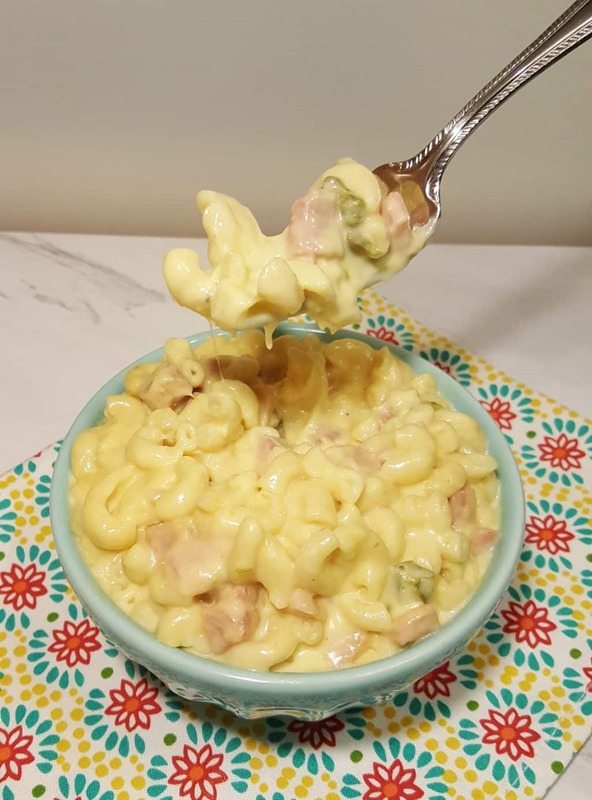 Instant Pot Jalapeño Macaroni Ham and Cheese is the perfect and easy way to use up your leftover Easter or Christmas Ham. 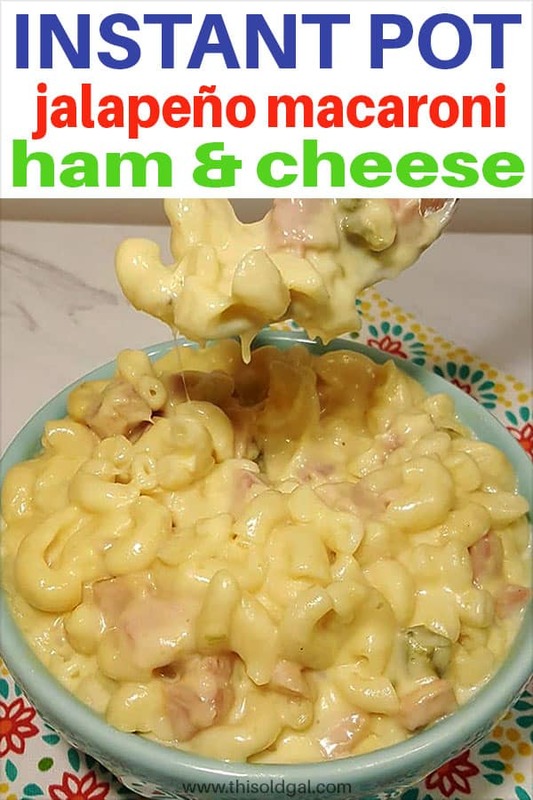 With so much ham leftover from Easter and/or Christmas, my readers have been demanding asking for an easy recipe. Something that is easy, comforting, yet delicious, so that after the holiday, they can toss some ingredients into the Instant Pot, Mealthy MultiPot or Pressure Cooker and relax. It has to be fast. There has to be minimal preparation and clean up. After all, the last few days and weeks were spent in preparation for the holiday. 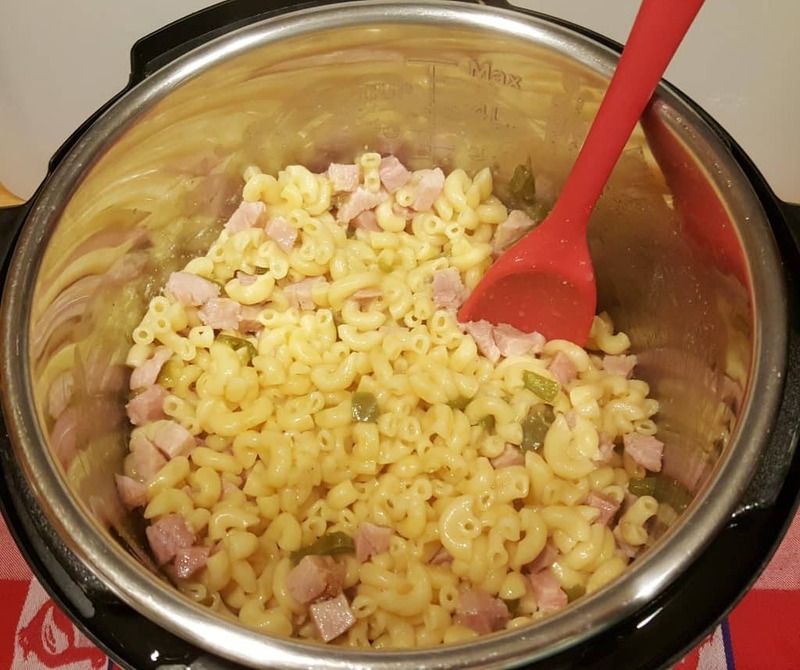 Instant Pot Jalapeño Macaroni Ham and Cheese will not disappoint. It covers all the requirements. Little to no preparation, limited ingredients, easy to assemble, fast, one cooking vessel to clean, quick cook time. 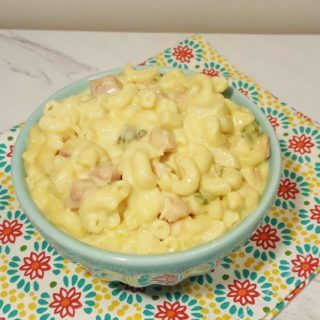 Just Take Me To the Best Jalapeno Ham Macaroni and Cheese Recipe Ever! The membrane/seeds of the jalapeño are what hold the most heat, so make sure to remove them, unless you want a spicier dish. I like the flavor of jalapeño, but I don’t like the heat, so I remove all the seeds. 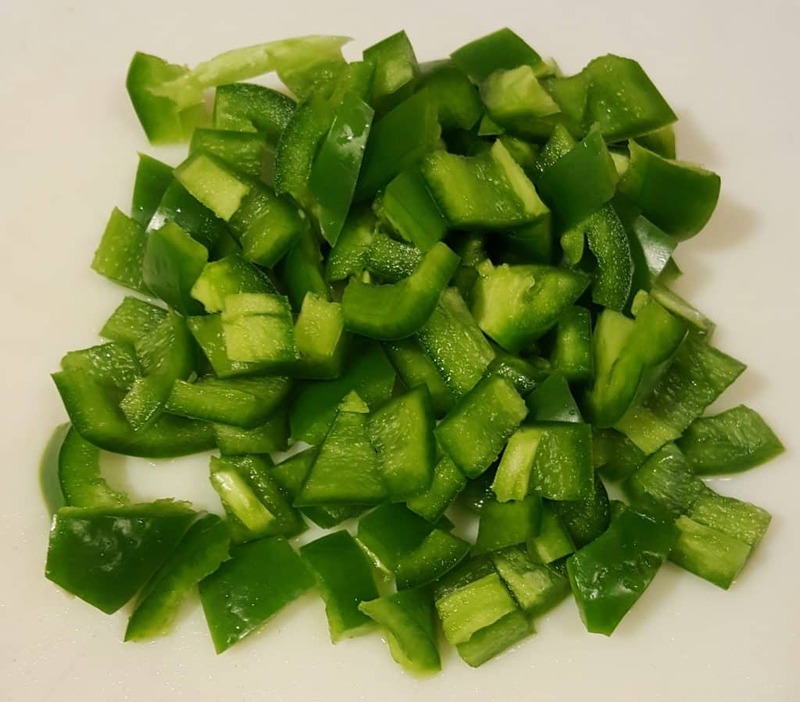 If you do not have jalapeño peppers, just use a can of diced green chiles. For a more traditional mac & cheese, check out my Pressure Cooker Macaroni and Cheese, Fully Loaded. 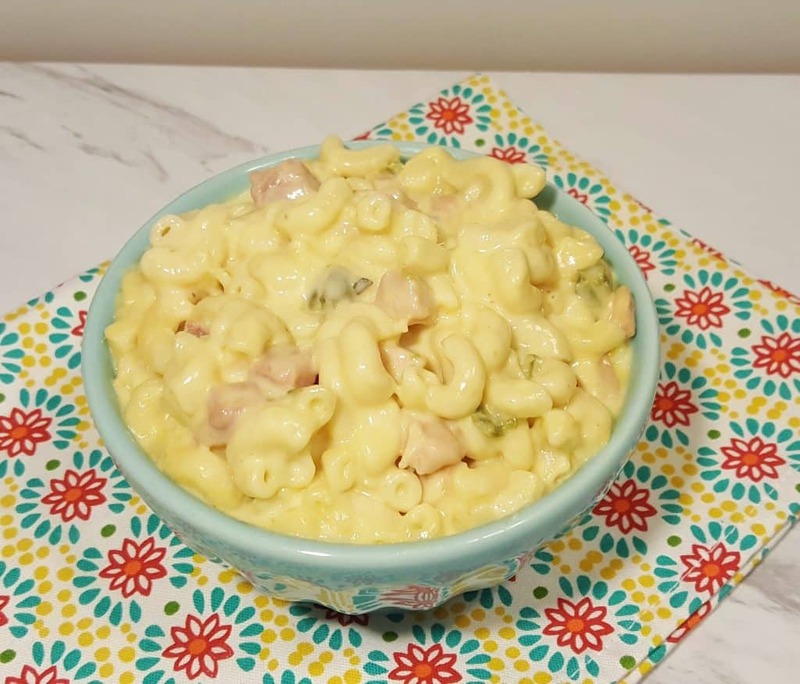 For an adult spin (but kids love this too), try my Instant Pot Buffalo Chicken Macaroni and Cheese. This recipe is so easy. Not all pasta is created equal. De Cecco is my pasta of choice. It is one of the ingredients that I do feel is better than other named brands and store brands. The Elbow Macaroni will hold up especially well in under pressure. Using my method for cooking pasta, with the natural pressure release time to gently finish off the cooking, will give you perfect al dente pasta every time. Plus, you won’t have to worry about steam flying all over the place with a quick release. Some of the pasta may be a little stuck together, so just take a big spoon and break it up and mix it through. If you love creamy pasta, you’ve got to try my Instant Pot Dijon Shrimp Linguine [Video] recipe. It is incredible. Let’s talk about Cheese for a minutes. What is Wrong with Pre-Shredded Cheese? Please don’t ever buy pre-shredded cheese. The cheese is coated in a starchy powder to prevent it from sticking. Said starchy powder also dries out the cheese. It is so easy to buy a block of cheese and shred it yourself. I use my Food Processor when I need to grate a bunch of cheese. It takes less than a minute. Place the blade in the Food Processor, add the block of cheese to the feeder and push the button. Seriously, it is the difference between less than average macaroni and cheese and incredible macaroni and cheese. Mix in half the cheese, until fully incorporated. Add in the milk and cream and mix through. 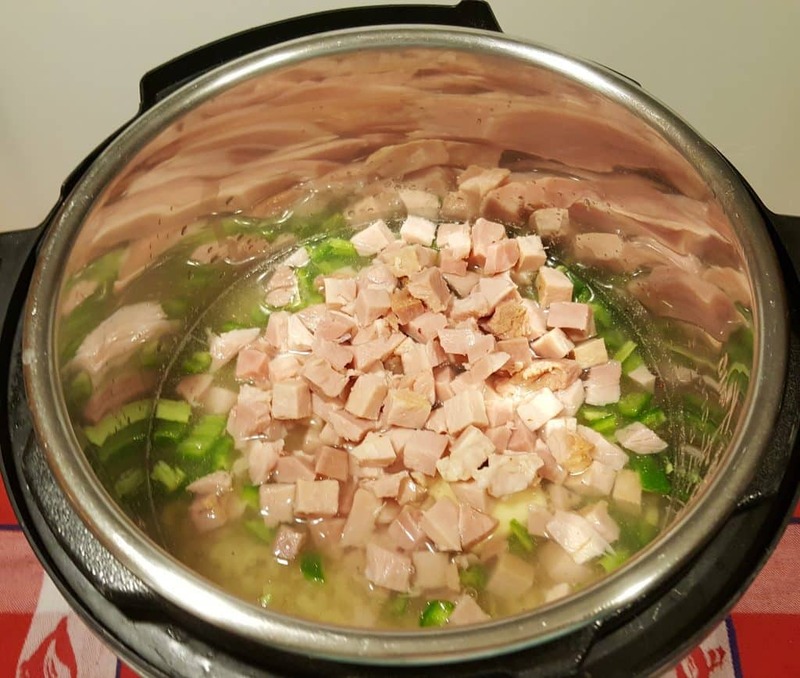 The Instant Pot, Mealthy MultiPot or Pressure Cooker will keep your Instant Pot Jalapeño Macaroni Ham and Cheese nice and hot, since it switches to warm after the cook time is up. Dump in the rest of the cheese and combine. If you prefer more cheese, add a little at a time, until you get the amount of cheese you love. Easy peasy, right! Take a load off and enjoy! You deserve a rest after all the cooking and entertaining from the Holiday. My Pressure Cooker Butternut Squash Pasta is another delicious Pasta meal. How big was your holiday ham? Add all ingredients, except Cheese to the Pressure Cooker cooking pot. Lock on lid and close Pressure Valve. Cook at High Pressure for 2 minutes. When Beep is heard, allow a 3 minute Natural Pressure Release and then release the rest of the steam. Open lid and break apart any clumps. Slowly add the cheese, stirringuntil melted. Top with Crispy Bacon Topping, if desired. Amount of cheese is a personal preference, so start with the lower amount and add more, until desired amount is achieved. My 'Rule of Thumb' is to cook pasta for 1/2 the lesser cook time stated on package and then subtract 2 minutes and add an NPR. Used Diced Green Chiles if you do not have Jalapeño Peppers. 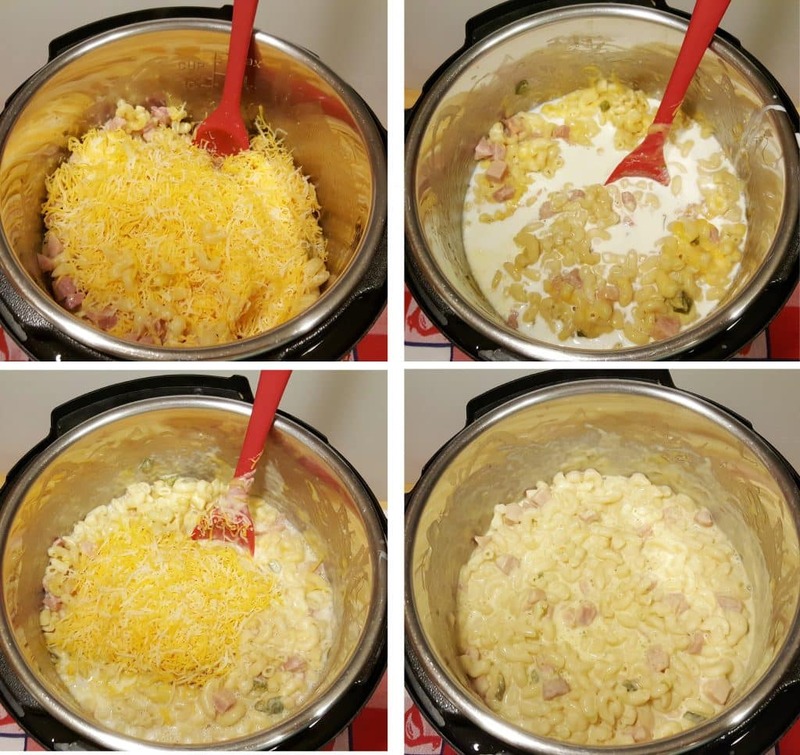 PIN this Pressure Cooker Jalapeño Macaroni Ham and Cheese! Your recipes always prove to be winners!! Every time I make your NY cheesecake it is a big hit! Thanks for sharing all your recipes, the wonderful hints and suggested equipment. Could this recipe be doubled in the pressure cooker? Is the pasta cooked? Or do you add it uncooked? This was incredible. My whole family loved it!